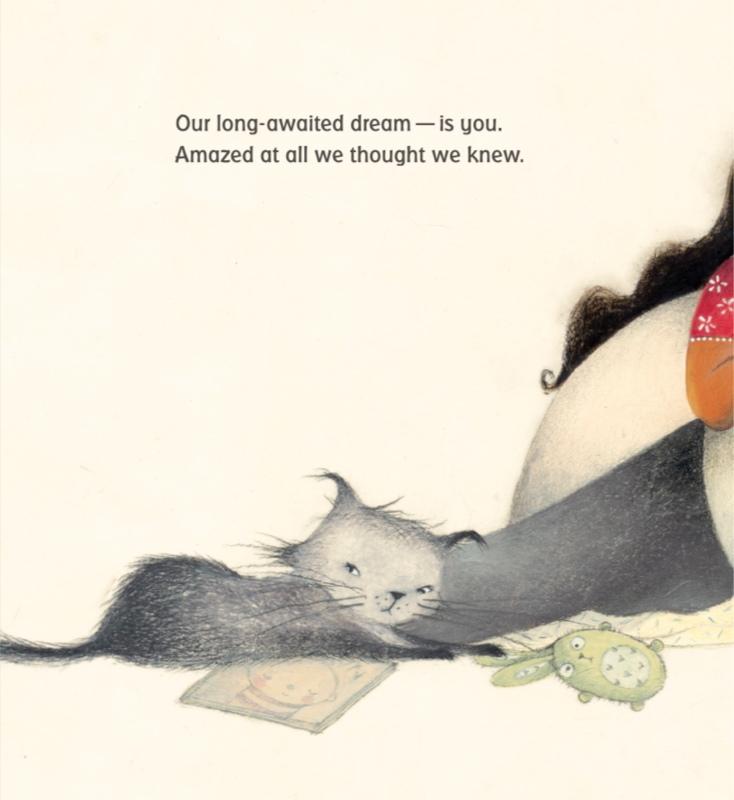 Reviewers have called Barrett’s lyrical text “enchanting” and Neal’s illustrations “soft and round and delicate as a newborn.” I’d call the text musical and loving. The illustrations? Luminous. Honestly, the pages practically glow. But I’m going to let the author tell you more about this beautiful book and sprinkle in samples of the art. JE: Hayley, tell us what sparked this story, your debut picture book. HB: BABYMOON is the book of my heart. 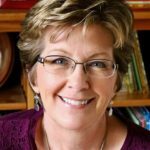 The story was born of my experiences within the birth community. Many years ago, I intended to become a Certified Nurse Midwife. With a BA in English and French already under my belt, I applied to the University of Pennsylvania’s direct-entry BSN/MSN program. I recall my meeting with the Penn Nursing admissions officer. She scanned my application and quipped, “Well, at least we won’t have to teach you how to write.” Prophetic, much? Although I did not finish my midwifery training, my admiration for those who advocate for and provide care to women, families, and babies continues to this day. One such advocate, the late anthropologist Dr. Sheila Kitzinger, coined the term “babymoon” to claim and encourage a period of rest for new families. The word has since been used for other purposes, but her original definition was the spark that inspired my book. Artwork from the book. Please imagine these images side by side, as they’re one spread. JE: How funny (and yes, prophetic!) that your writing prompted that comment from the admissions officer! It sure seems like this is a story YOU were destined to tell. Was there much revision? HB: The process of revising BABYMOON was challenging to say the least. Long before any submissions began, I had polished the manuscript to within an inch of its life. It topped out at 140 words of very spare, softly rhyming verse. When the manuscript was acquired by Candlewick, my editor requested some changes. To be specific, she wanted to add complete sentences to the text, and I was at a complete loss. The prospect of reworking the story’s delicate structure while maintaining its musicality and emotional arc was profoundly daunting, and I had no idea how to begin. There were lots of false starts and sleepless nights. One afternoon, as I slumped at my desk on the back porch, my daughter came up and looked over my shoulder at the manuscript. After a quiet moment, she patted my back and said, “You can do this, Mom.” That’s when I began working in earnest toward the final text. JE: Supportive family members are a true blessing. 🙂 How’d you feel about the illustrations? HB: I am exceptionally fortunate to have participated in the selection of BABYMOON’s illustrator. 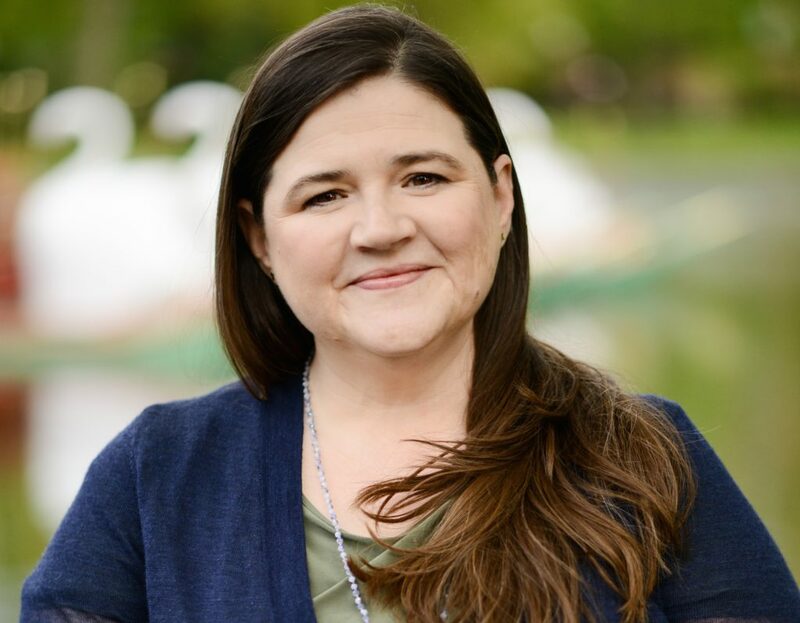 When my editor suggested Juana Martinez-Neal as a potential candidate, I was delighted. Juana’s artwork possesses a lovely, dreamy quality, and the colors and textures she employs are delicious. She also has a way of capturing moments of warmth and affection between characters, essential for a book like BABYMOON. 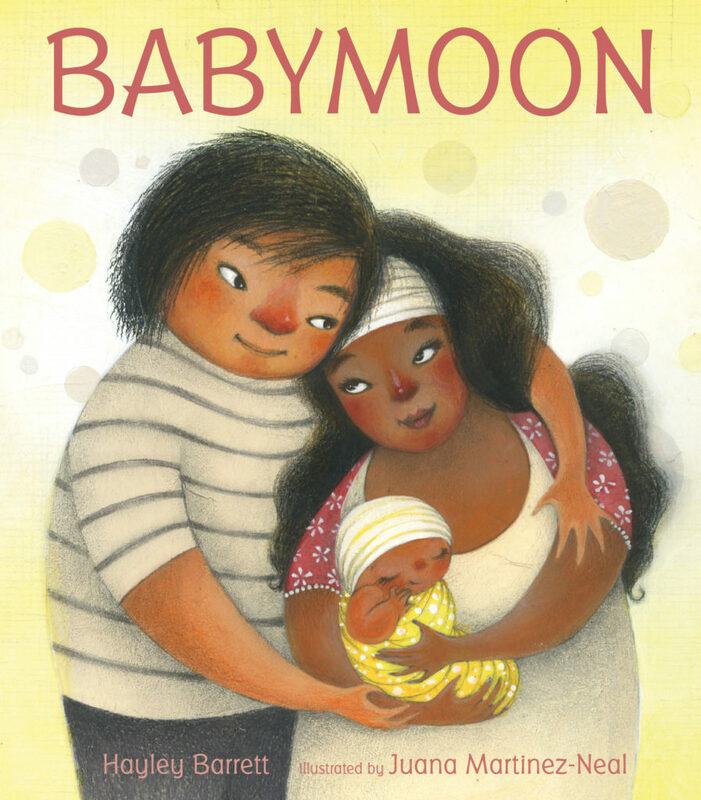 The first time I saw Juana’s artwork for BABYMOON was like meeting a family I’d known for years, if only in my imagination. Here was the baby. Here were the parents. From Juana, I learned two of the family’s brand-new names, Mami and Daddy. Like everyone else in the world, I’ll have to keep wondering about the baby’s name, but I love that. A babymoon is meant to be a private, restful time, and I’m happy to let these characters revel in it. Again, these two images are one spread. JE: I agree. 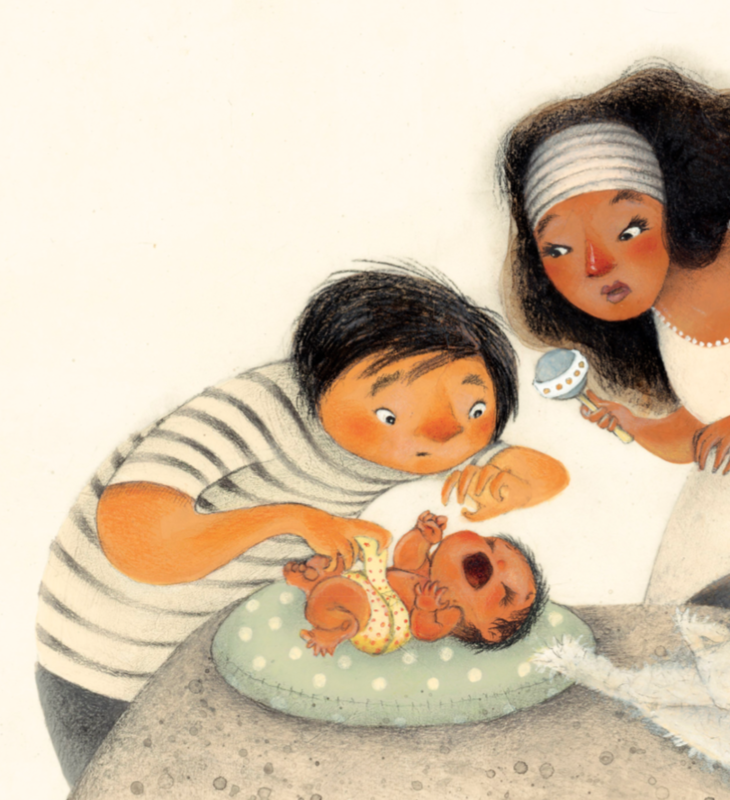 The warmth and affection this couple has for their new baby just oozes from these pages. What’s next for you? HB: My second picture book! Beach Lane Books will publish What Miss Mitchell Saw on September 3rd. 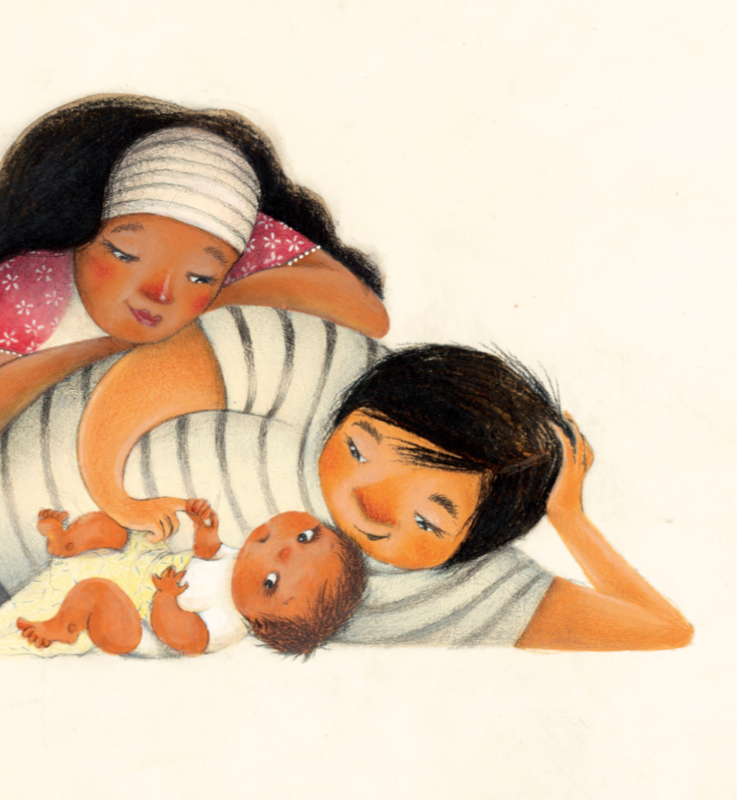 The book is narrative nonfiction illustrated by Diana Sudyka, and it’s nothing like BABYMOON. Wail ‘til you see it! JE: I can’t wait! Thanks for stopping by, Hayley! Everybody else…this would be the perfect baby shower gift! Congratulations! What a lovely book! 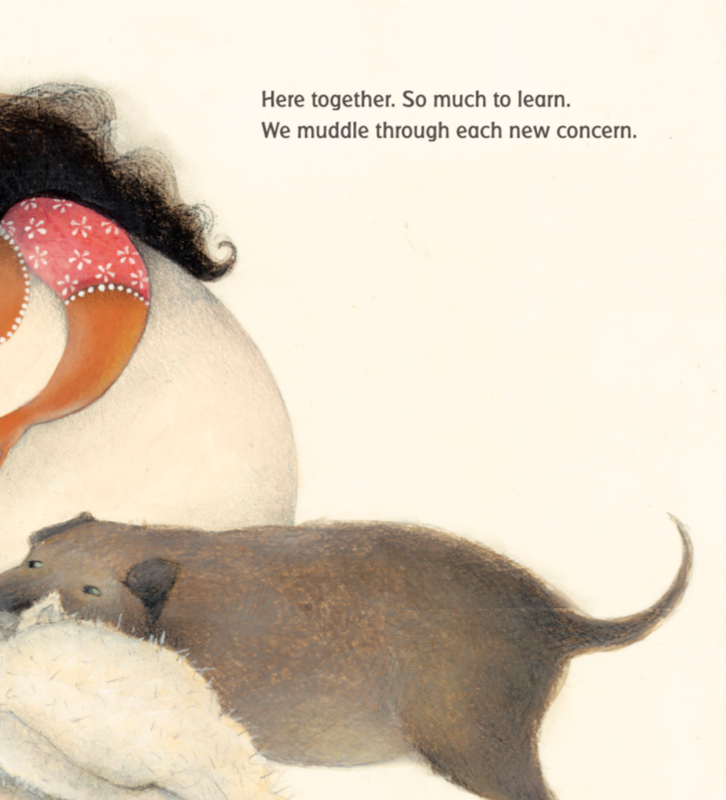 Congratulations on the birth of your precious picture book, Hayley! I can’t wait to read BABYMOON! I’ve never heard the term “babymoon” before. I can’t wait to read your book and learn even more about this precious time for families! How exciting. I love the story behind this story! Congratulations! Adorable. This looks like a stunning new picture book. I love the title & the idea behind the title. Congratulations on your debut! Everything about Babymoon looks perfect! I love the illustration of the dog checking out the new baby. Congratulations on both your books, Hayley! So much love for Hayley, Juana and this gorgeous book! From start to finish, it is tender, encouraging and delightful. Every word and image fills my heart. Beautiful! Now I understand the title! I first thought it was the name of the baby, Baby Moon. Looks lovely! Congratulations! I am so happy for you, Hayley. It was worth the wait. Thank you for posting! Always great content. Looking forward to reading this one! Thank you for your book, Hayley, and thank you for the interview, Jill! This book looks lovely, and I can’t wait to read it. Congratulations on the birth of this special book! I feel warm and cuddled just read about Babymoon and looking at the illustrations. Congratulations to Hayley! Such a sweet book. This is so adorable! Thank you!! !